More affectionately known as Sukanya, you may have bumped into her at the Medical Library or around the vicinity. Sukanya has been with the NUS Libraries for 5 years, and was appointed as Acting Head of the Medical Library on 1 Jan 2017. 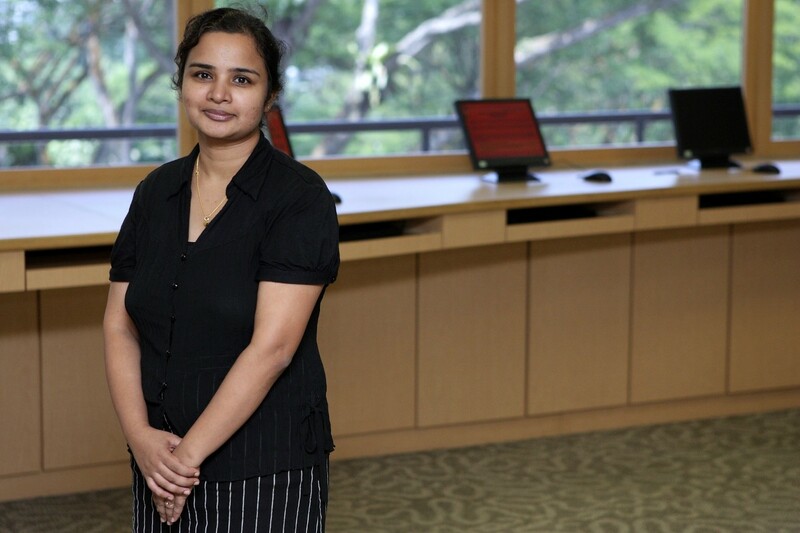 Apart from managing the Medical Library’s administration and operations, Sukanya spends most of her time designing and conducting Information Literacy Programmes (ILP) aimed at students and staff from the Yong Loo Lin School of Medicine and the Alice Lee Centre for Nursing Studies. In addition, she assists doctors, health-service personnel, general practitioners and others in the medical fraternity with their information needs. She also conducts workshops and co-teaches with lecturers on systematic reviews. Although she has her plate full with the ILPs, workshops, systematic reviews and leading the team at the Medical Library, Sukanya manages to squeeze face-to-face advisories (in-depth consultation sessions) during her lunch breaks or when she is on duty in the evenings and on weekends. Equipped with a BSc in Nutrition and an MSc in Information Studies, she is always upbeat and ready to advise, teach and tackle any queries and questions that come her way. She has received appreciation in several forms – from the simplest of “thank you”s in person or in published papers, to tokens and small gifts. What really keeps her going is knowing that she is helping others and playing a part in developing their capabilities. The people around her, from within and outside the NUS Libraries, also keeps her fuelled and she strongly believes that she would not be able to do it on her own. For Sukanya, the greatest struggle is finding the right time and to prioritise the many things on her plate – everyone feels that their request is urgent and must be acceded to immediately. Nevertheless, she ensures that there are no unattended queries and will follow up with everyone who has approached her for help. Adaptability and flexibility are crucial, and she takes care not to neglect her personal affairs despite her erratic schedule. She will always have a ready smile for you! 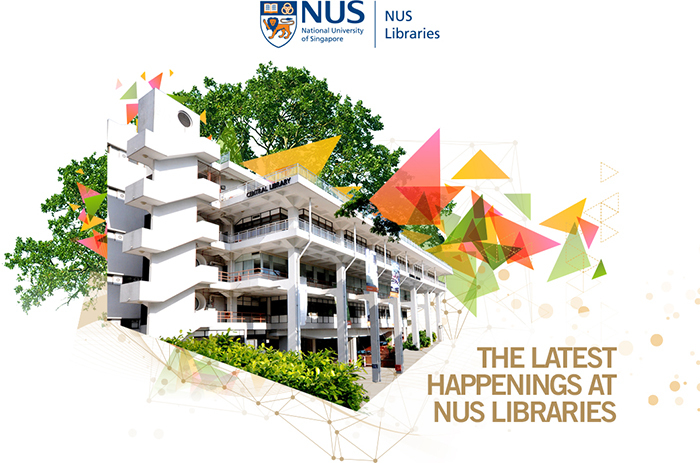 The Hello, I’m From NUS Libraries series takes you on a reading cruise featuring eight of our staff members who have been awarded the NUS Quality Service Award. Get to know the people from your Library and learn more about what goes on behind the scenes. Congratulations! We are glad to have you around! I just wanted to say how much I appreciate you Sunkanya! Every time I come into the library or have a question about any materials or resources over e-mail, you are always so helpful that it always brightens my day! I am able to do better research because I have you to go to 🙂 You are so patient, kind and thorough with every single one of my questions, and you always do above and beyond of what your job requires of you! Thank you so much for everything 🙂 My heart is truly touched every time I ask for help! As a medical librarian you are supposed to be the part of the health care system and plays very important role in the patient care by providing the latest health information to the medical fraternity.The emerging role of health science librarians in information therapy can not be ignored. This is exactly what Ms Sukanya is doing in the current scenario of library affairs at a medical college like NUS libraries. Congratulations to the entire team of medical library to have Ms Ratnala Sukanya Naidu as head of the library system.